Some businesses with 25 to 50 employees were grandfathered into old health care plans that will no longer be available. Businesses who currently have coverage through a grandfathered plan will need to transition to an Affordable Care Act (ACA) plan with an effective date of Jan. 1, 2018. The new ACA plan comes with a much larger price tag, making this year’s health insurance renewal particularly painful for some small businesses. Syndeo has a solution to help curb these health care cost increases. Why Are Grandfathered Health Care Plans Being Phased Out? When former President Obama signed the ACA into law in March 2010, one of the provisions of the law was that consumers who had an existing health care plan as of the day of signing could keep those same plans if they’d like, rather than switching to ACA plans. These plans were called “grandfathered” health care plans. Many health insurers chose to continue offering grandfathered plans to those eligible. But over the past several years, many customers have given up their grandfathered plans, and many insurance companies have stopped offering them. In addition, some industry observers say grandfathered health care plans have resulted in lower enrollment, which could affect the overall risk pool by bringing in fewer healthier enrollees. Why Is the ACA More Expensive? Among the reasons for these health care cost increases is the uncertainty about the future of the ACA. President Donald Trump promised to repeal and replace the ACA, but Congress has failed to deliver on President Trump’s promise thus far. Transitioning to an ACA plan from a grandfathered plan will have its positives and negatives for most customers. The good news is that this plan will most likely have better coverage. The bad news is the cost increase. ACA plans offer benefits such as maternity coverage and cap out-of-pocket expenses for customers. This means that ACA plans provide better coverage than many pre-ACA plans, but that coverage comes at an increased cost so that everyone has the same opportunity. The ACA requires that insurers offer coverage to everyone who wants it, and it limits insurers’ ability to increase costs for older or sicker people. This is good news for those who previously could not purchase health insurance, but it’s bad news for those who are healthy and seeing a spike in cost. Syndeo is a professional employer organization or PEO. Organizations like these can work with your company to provide comprehensive and affordable benefits through a business-to-business relationship called “co-employment”. Typically, with PEO-sponsored benefit plans, your employees will have access to a wider variety of benefits than your company would be able to obtain on its own. This includes medical, dental and vision coverage, a health care flexible spending account, a retirement plan and more. By utilizing a PEO, you are eligible to fold into a large group health plan where you have additional options. 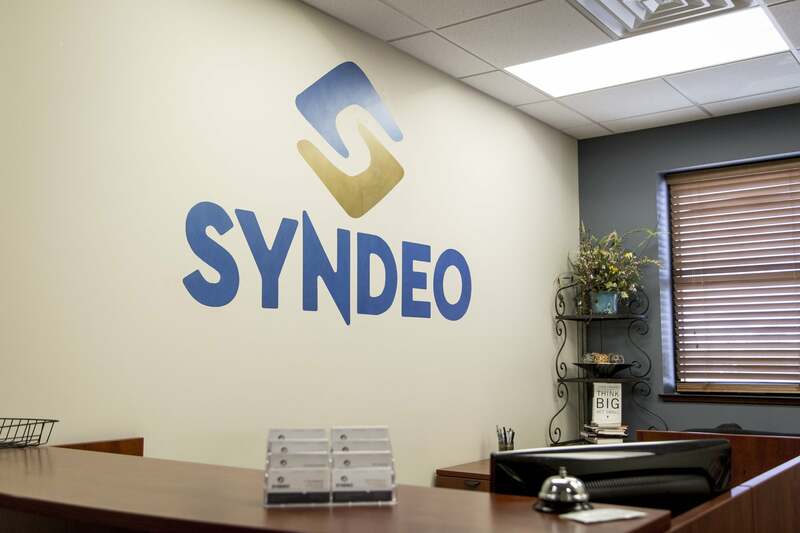 You owe it to your yourself, your business and your employees to call Syndeo at 316-630-9107 to find out how we can help during the transition to an ACA plan.